The fallout from Harvey Weinstein’s sexual misconduct allegations continues to mount. The Democratic National Committee on Friday called the accusations against Weinstein, a longtime backer of the party and its candidates “deeply troubling.” The DNC also announced it will donate to charity any money it received from the movie mogul during the 2016 election cycle — about $30,000 in total. “The Democratic party condemns all forms of sexual harassment and assault,” Xochitl Hinojosa, the communications director for the Democratic National Committee, said in a statement. “The DNC will donate over $30,000 in contributions from Weinstein to EMILY’s List, Emerge America and Higher Heights, because what we need is more women in power, not men like Trump who continue to show us that they lack respect for more than half of America,” the statement went on to say. The announcement comes as a flurry of Democratic politicians — including New Jersey Sen. Cory Booker, Massachusetts Sen. Elizabeth Warren and New Mexico Sen. Martin Heinrich — have sought to distance themselves from the mogul by donating any Weinstein contribution they received to charitable organizations. Senator Patrick Leahy of Vermont announced he would donate Weinstein’s contributions to the Women’s Fund at the Vermont Community Foundation, specifically the Change the Story Initiative. “As soon as Senator Heinrich learned of these allegations yesterday, he donated the $5,400 contribution to Community Against Violence, a non-profit organization in New Mexico,” his spokeswoman Marcia Garcia told TheWrap. 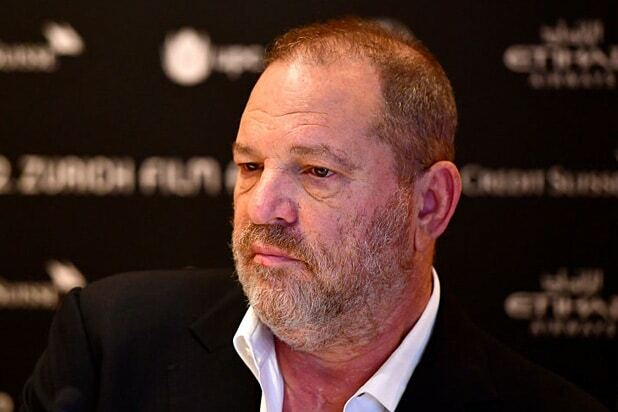 Other senators who announced they would give away contributions received from Weinstein over the years include Vermont Sen. Patrick Leahy, and Connecticut Sen. Richard Blumenthal. Weinstein, the co-founder of the Weinstein Company, has also hosted fundraisers for Hillary Clinton and Barack Obama’s presidential campaign.